The knowledge of how to germinate, grow, flower and propagate the threatened flora of Britain and Ireland, and assembling these protocols is a vital part of the PlantNetwork Target 8 project. Multiple observational or cultivation entries can, and should, be made for each taxon. The aim is to have a dataset of as many protocols and results as possible. Failures of germination, cuttings, layerings, flowering, seedset etc. are of particular value. To add cultivation information for a species, a second screen is called up (left), into which a minimum amount of data needs to be input. The source of the plant (if known), the date, the submitter of the data and two memo fields, which can contain as much text as you like: one to correct errors or add information to the species database, the other to provide cultivation information for that species. Each entry you make is added to a table of cultivation protocols. You can review and edit these as often as you like. When you press the ‘Submit records’ button, the entries you have added to the database will be exported as a rich text format (.rtf) file called ‘send to matthew jebb’. When these are emailed to me, I will update any changes you suggest, and add your cultivation protocols to the new version of the database. Any changes you make to previous cultivation entries will not be updated. It is more important to send regular small numbers of protocols than to build up a large number. As submissions are received, they are added to the master version of the database, and you will be notified when your data has been added. Any changes you make to the Species table or previous cultivation entries, however, will not be added to the master database at www.plantnetwork.org/database By reloading the database from this page, you will be able to keep up to date with data entered by all other gardens. You also need have no anxieties about damaging the data, since the database can be downloaded at any time – the new version will usually unzip into the my dopcuments folder of your computer, you may wish to save your previous version under a different name, or in a differnt folder, as a precaution when you reload a more up to date version. A further screen of Queries and Lists, gives a set of buttons (left) allowing a number of queries to allow quick comparisons of Ellenberg values, Habitats, Red lists, as well as seeing what species are already being investigated, or as yet remain overlooked. These lists enable comparisons to be made, and allow you to explore possible solutions to problematic taxa you are struggling to grow. 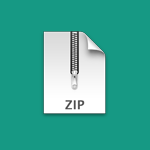 Note that your computer may tell you that the file type (MDB) is potentially unsafe when you try to unzip it, do not be put off by this, it is a standard warning for database files, especially if they come in an unsolicited email, as they can execute commands.